This is a fun STEM activity for students before spring break / Easter. 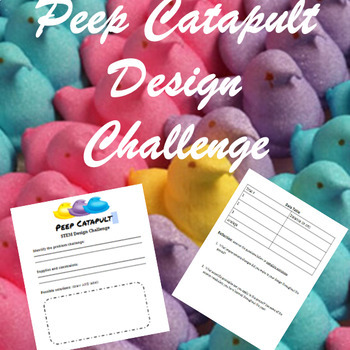 Students will design and test a Peep catapult to see whose can go the furthest! They will apply their math skills to measure and find their average distance. This includes a PowerPoint to introduce the challenge and worksheet for teams to complete. PowerPoint can be edited, so you can adjust the supplies based on what you have on hand! The activity is designed to take about 40-60 mins, but can be extended to offer students a chance to redesign and test some more.